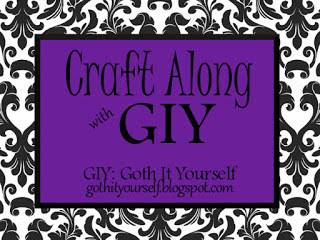 This months brief from Bane at Goth It Yourself. It's about favourites, so my favourite activity is sewing. 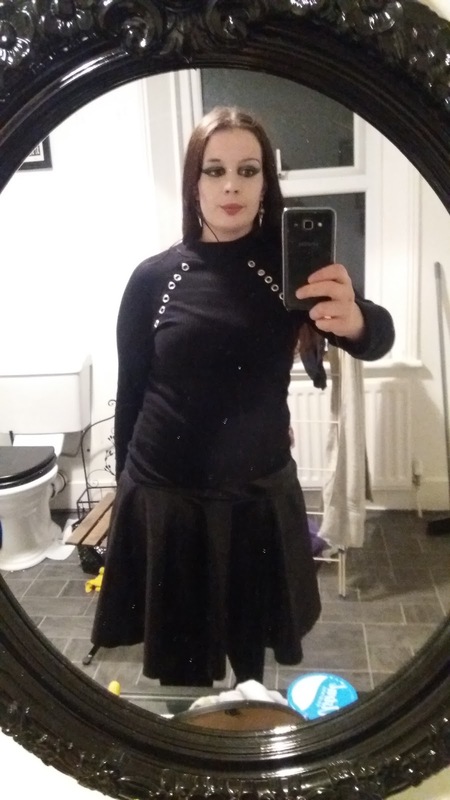 I tend to use the same sewing patterns over and over again, Over a couple of years, my taste in clothing has changed where I've found I tend to prefer wearing knee length skirts and in a simple a nu-goth style or least my interruption of it. 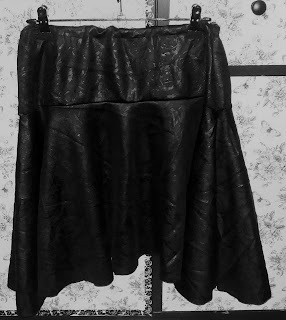 This has been my favourite skirt pattern. 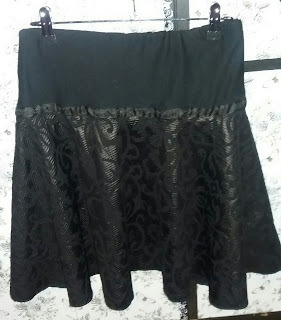 The flouncy bouncy skirt, which was a free pdf sewing pattern. I love this sewing pattern it's so complimentary to my shape and I think, I've made at least six to seven skirts in the last two years. It such an easy pattern to sew, even for newbies it literally a yoke and to half circle patterns. 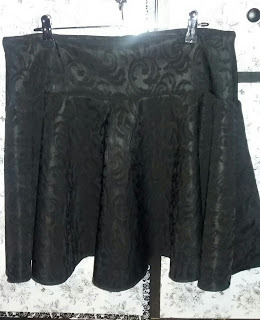 Another thing, I love about these skirts they are relative cheap to make as it only requires about a metre of fabric. If the one thing I love its a bargain I included pictures of the skirts and me wearing them to show what they look like. This was the first skirt I ever made using this pattern cost £2. It embossed rose pattern looks like PVC but its actually lycra. 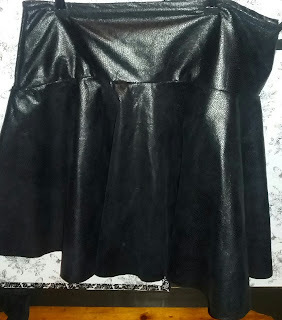 I've actually sewn and resewn this skirt several times and I wasn't happy with the yoke. I'm still not quite happy with the yoke. I'd rather have the matching fabric but dint; have enough. When I wear it, nobodies going to see the Yoke I love the fabric it reminds of Victorian church tiles. The fabric was such a bargain and was a great find from an Asian fabric store in Bradford. it was only t£3 pound a metre and sits fantastically. This is upholstery fabric, it looks like a snakeskin it sits really well I love the stiffness of the fabric. this another bargain at £2 per metre. I think this one is my favourite. For the yoke, I used upholstery velvet someone placed in the bin at sewing class. I used the half circle skirt with fabric from Malta. I used trim I had for years I love the contrast between the fabric. Cool - I love your vision for this skirt. You have reinvented it in so many ways. What great fabric finds too! Thanks. 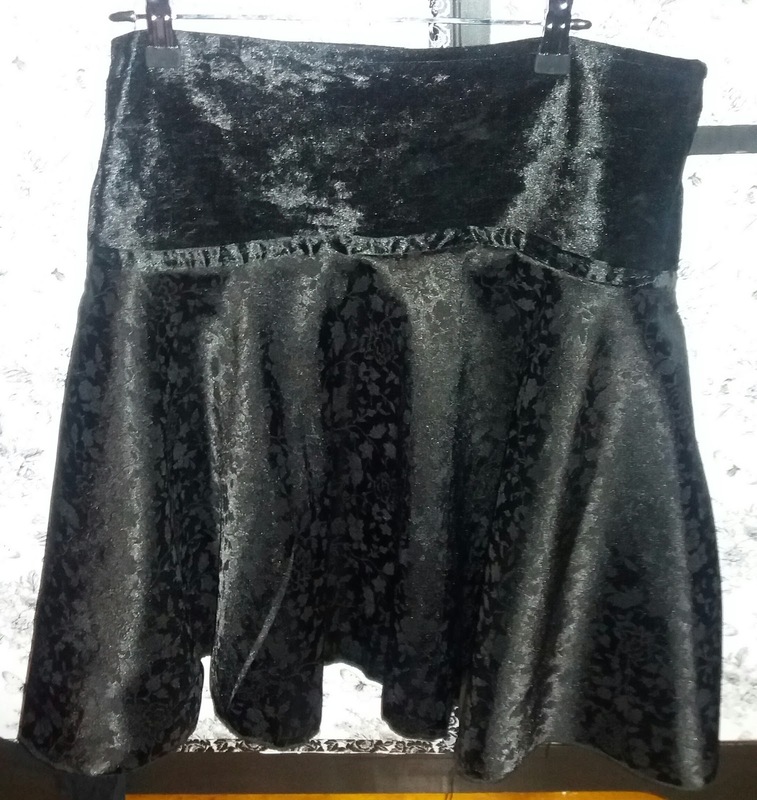 Its what I love about sewing is finding a sewing pattern I love but puting my personal twist on them. I just find making my own clothes so much easy compared to shopping. I don't have the energy to trawl through shop any more and I hate internet shopping. Yes, having found a style that suits you and is easy to sew, go for it! Your variations are so creative! Thanks I defintly have. It always amazing how different fabrics can give a totally different look to the same pattern. Such a classic style and goes with everything! Its what I love about the pattern and fabrics I use go with most of my clothes. Awesome fabrics! 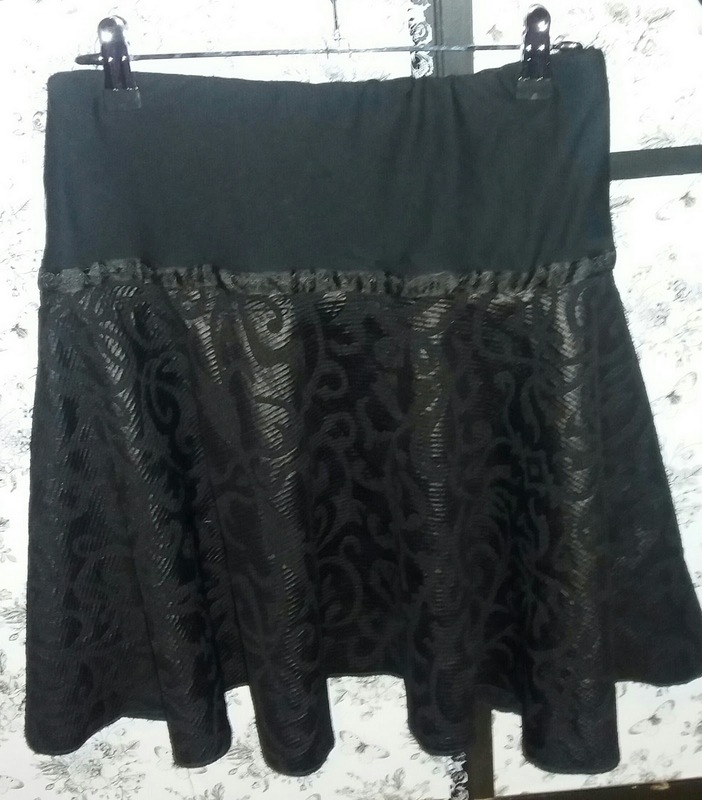 You can never have too many black skirts. :D Thanks for participating in the craft-along. Thanks. 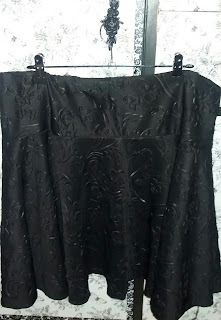 I agree you can I never have too many black fabrics. I'll try to take part more often. Wow, good for you Sarah! You found something that works for you and you've done well creating it in so many different fabrics! Love the pics of you in them! Big Hugs! Big hugs. That so lovely of you to say. It always amazesme how different types of fabrics create a different look using the same sewing pattern. It’s always good to have a simple pattern that works! I’ve used the same pattern for a lot of dresses. Cool. I think a lot sewers tend to find their favourite sewing pattern that the use over and over again.